Hello Kuzak Closet readers! I’m Ashlie, Amanda’s sister, and I am back with another edition of 7 minutes….7 pins. Here is what caught my eye this week! I’d love to know if you have tried any of the pins from any previous posts. We love to hear your feedback! And remember if you don’t follow the Kuzak Closet Pinterest page—you should! Did somebody say Margarita? I love the spin they gave on this one! This entryway is gorgeous! I love how wide it is! There is so much storage and room for putting on shoes and putting away everyday necessities! Summer is the time of the year that camping chairs are constantly being used. This storage idea for your garage is a simple way to get them off the floor! My family is headed on a little road trip in a couple of weeks. I love the idea of pre-packing healthy snacks. This site gives some great ideas. All I can say is WOW! This toy storage system in this garage is awesome! 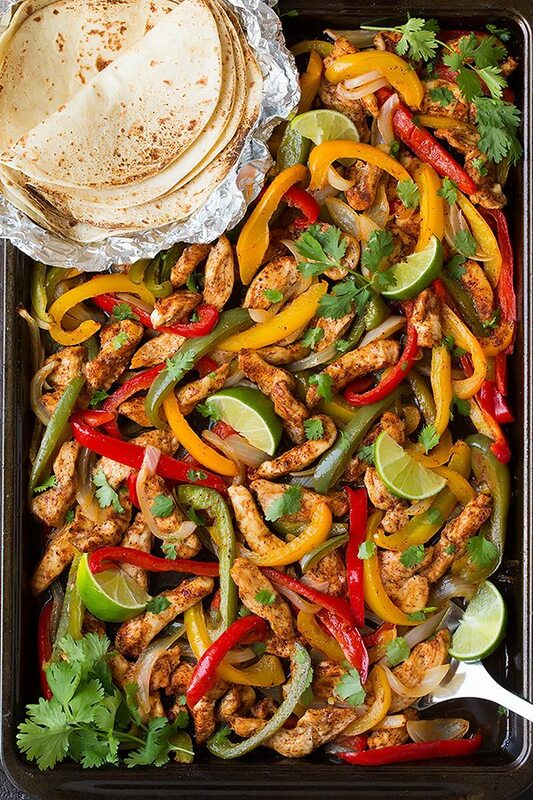 I love sheet pan meals and these chicken fajitas look delicious. What a great idea for a weeknight meal. My last pin is a sweet one! These cookies are simple to make and would be one that could be thrown together at the last minute! Thanks for reading another edition of 7 minutes….7 pins! I’ll be back in a couple of weeks with 7 more pins that caught my eye! Love that entryway. Thanks for your fun pins. Hope you keep it up but knpw you are a very busy Mom.